Enjoy local cuisine at Kelbys Bistro, one of the hotel's 2 restaurants, or stay in and take advantage of the 24-hour room service. Snacks are also available at the coffee shop/café. Need to unwind? Take a break with a tasty beverage at one of the 2 bars/lounges. Full breakfasts are available daily from 7:30 AM to 10 AM for a fee. 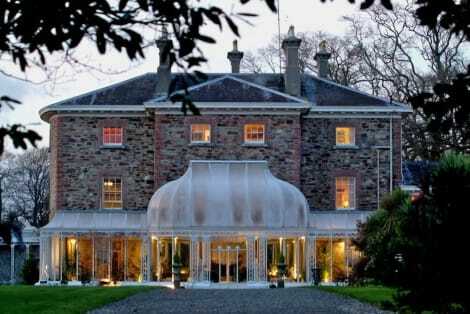 A stay at Marlfield House places you in the heart of Gorey, and within a 15-minute drive of Craanford Mills. This 4-star hotel is 31.8 mi (51.2 km) from Wicklow Mountains National Park and 11.9 mi (19.2 km) from Wells House & Gardens. lastminute.com has a fantastic range of hotels in Gorey, with everything from cheap hotels to luxurious five star accommodation available. We like to live up to our last minute name so remember you can book any one of our excellent Gorey hotels up until midnight and stay the same night.